What is the diagnosis of common cold? Some symptoms of common cold help in the diagnosis of common cold. These symptoms include running nose, sneezing and fatigue. Fever may or may not accompany common colds. The common cold can be diagnosed easily by a person without seeing a doctor. Healthcare provider generally examines the lungs, neck and head of a person. The doctor may perform a blood test or throat culture to find out a secondary infection. No other laboratory tests are available for common cold diagnosis. Doctor also checks signs and symptoms of pneumonia or other respiratory illness like bronchitis. Influenza is confused with common cold in most cases. Influenza has flu symptoms and causes a fever with severe symptoms. Nose running is also caused due to allergies like molds or pollen allergy. 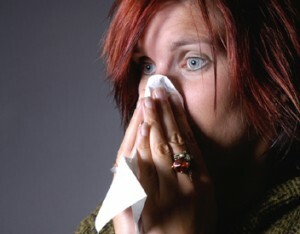 Allergies are persistent than cold. Sometimes people suffer from running nose when exposed to cold air. In this case, running nose is not a common cold symptom.